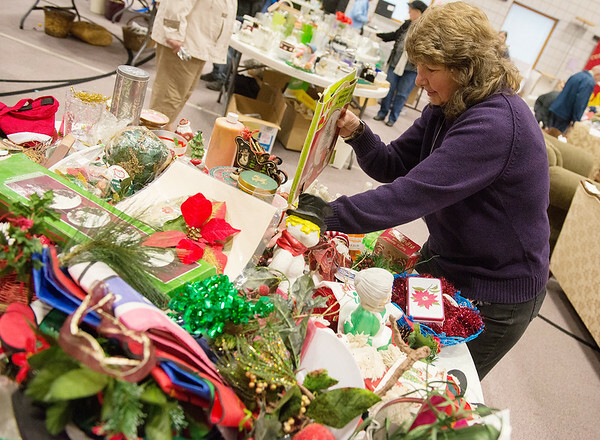 Terry Durden arrange Christmas items on a table during a rummage sale at First United Methodist Church on Wednesday afternoon. Proceeds from the sale will go to local mission programs and youth mission trips. The sale continues today from 7 a.m to 2 p.m., with all items at half price.